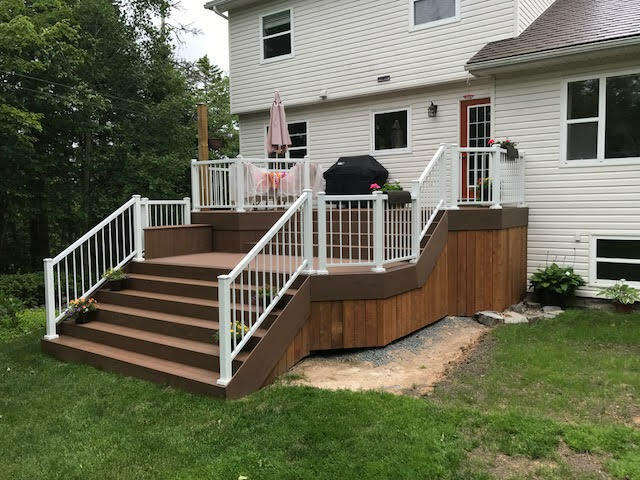 We demolished the homeowners previous deck and designed a new concept using Timbertech Terrain composite material for the decking, fascia, trim boards, and stairs. 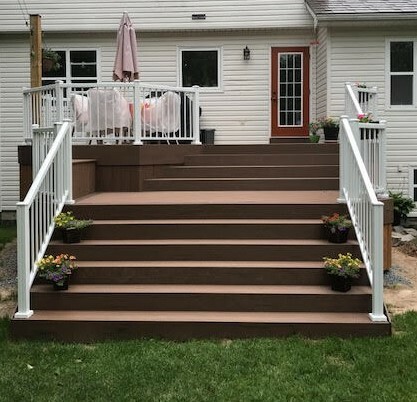 Low maintenance and very pleasing to the eye. 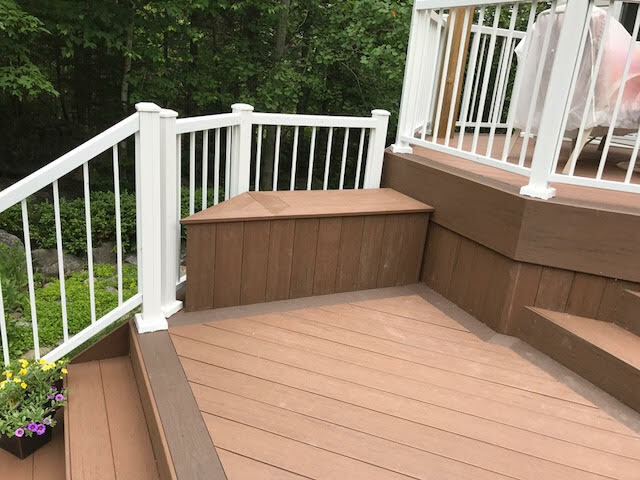 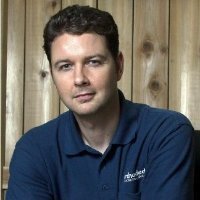 The deck materials used were Timbertech Terrain brown oak decking with Timbertech Terrain rustic elm. 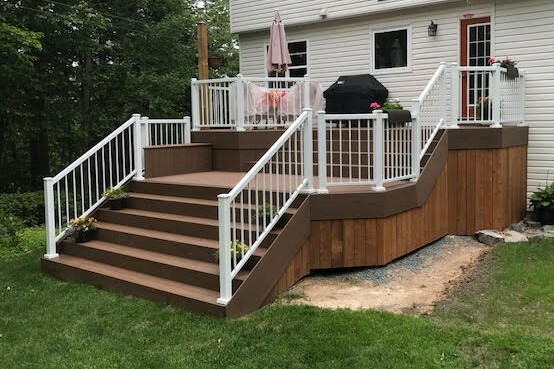 This design design features the decking boards in diagonal pattern, two sets of wide stairs for the deck platforms, and a built in deck bench. 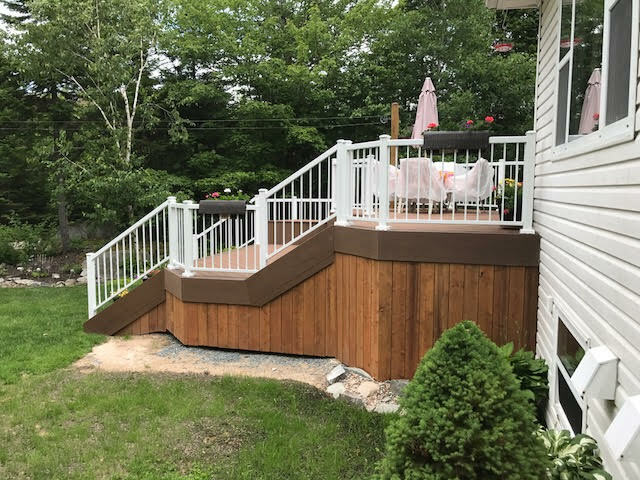 We installed Craft-Built white aluminum railings and a pressure treated clothesline. 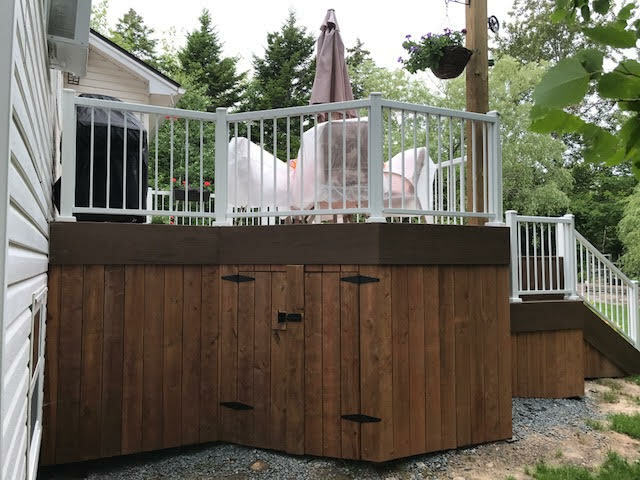 The skirting with a gate was built with solid pressure treated boards.